Intergalactic, constantly evolving landscapes, a richly mythical history and some of the most vibrant arts communities on the globe, Iceland is truly a country out of this world. Although Reykjavík may be the nation’s capital, there are so many other areas of this fascinating landmass worth exploring. The city of Seyðisfjörður is one such place. Tucked in the north eastern corner of Iceland, sitting on the banks of a fjord of the same name the town has a population of just around 700 residents but the artistic passion and creative energy of 700 capital cities. 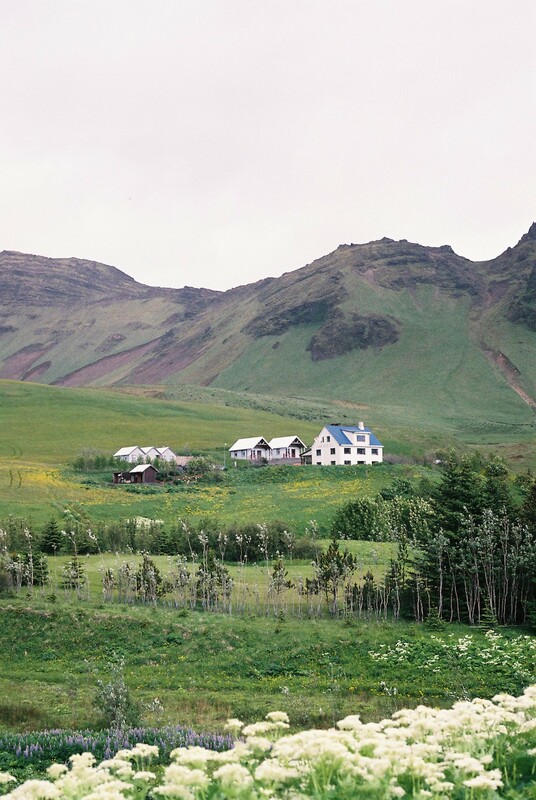 The town is home to a rotating roster of international artists staying for short and long term residencies, travelling holiday makers, backpackers and international long term residents as well as born and bred Icelandic locals. Its population is as diverse as the landscape on which it sits. 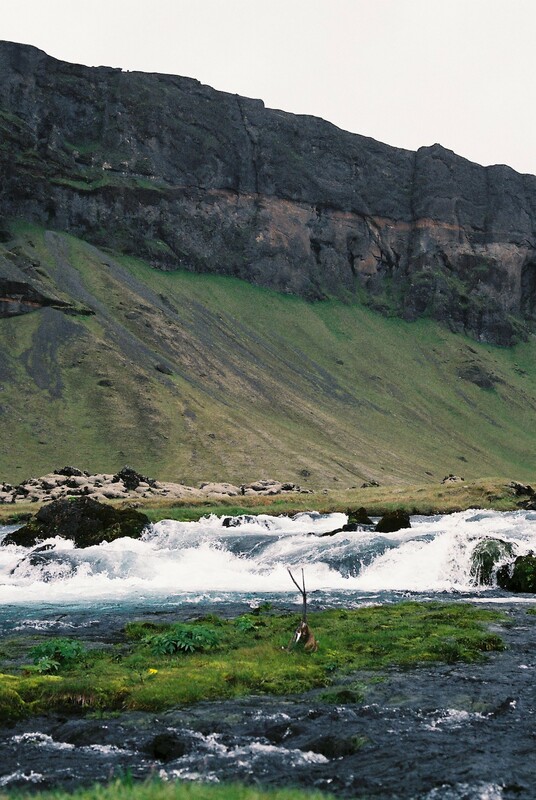 If you do make it to Iceland be sure to visit this mysterious, and magnetic hidden city. Once you visit the small town you’ll quickly notice that the majority of the city’s population is a melting pot of multiculturalism. 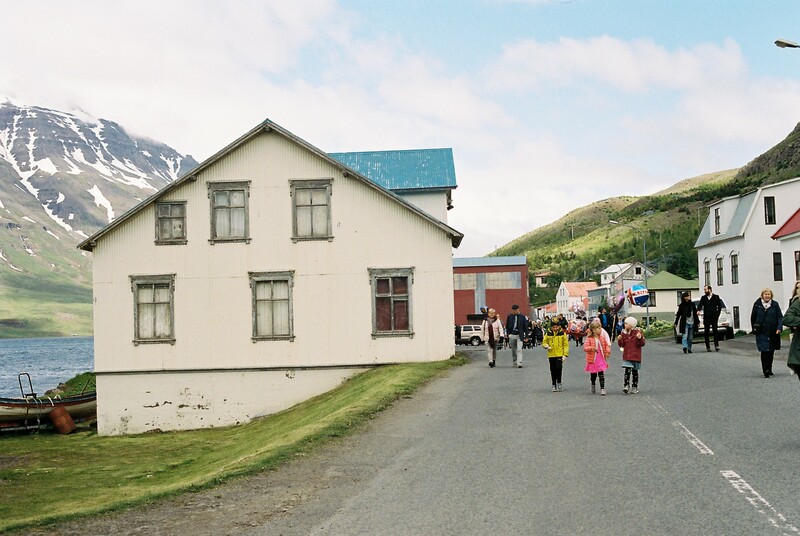 This international influence is entwined in the town’s DNA, something that can be traced all the way back to the Seyðisfjörður’s first settlements. 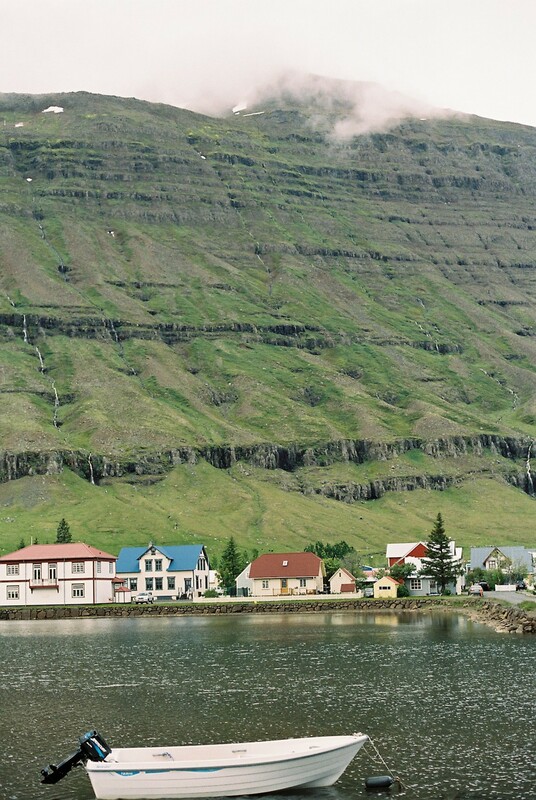 In the grand scheme of things, Seyðisfjörður is relatively young. The town we see today first came to be in around the middle of the 19th century when Danish merchants started using the town’s fjord as a main point of trade. 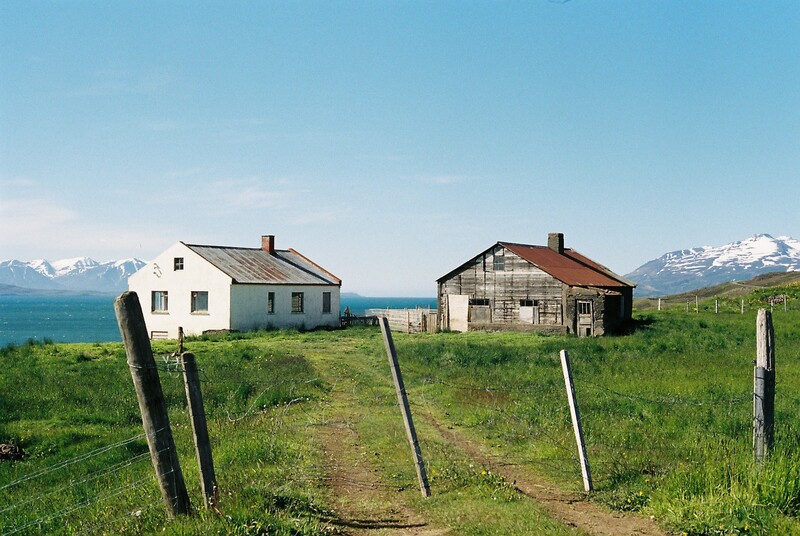 Not long after their arrival, in around the mid 1880s Norwegian fishermen also set up home base in the area after establishing a herring fishery. As the herring fisheries began to expand as too did the town’s population. Beyond fishing, the town became home to a number of other developments, like in 1913 when the country’s first power plant ‘Fjardasel’ was set up. During WWII the hidden location was seen by British and American armies as an excellent place to set up a base. Today if you trek deeper into the surrounding countryside you’ll find remains of bases that once were. However the most fascinating WWII relic is the remains of British oil tanker “El Grillo”. On 10 February 1944 the tanker was sunk by a German air attack on the town and it still to this day sits at the bottom of the town’s fjord. Today in terms of export production fishing still plays a large role but it has over the years declined. Following the war and the decline of the local fish-processing plant, Seyðisfjörður has transformed itself. Once fishing army base town to now one of Iceland’s most fascinating art tourism locations in the country. World renowned Swiss artist Dieter Roth had an artist residence here. Today the town still hosts a rotating roster of international artists who set up months-long residencies and create exhibitions throughout the year. 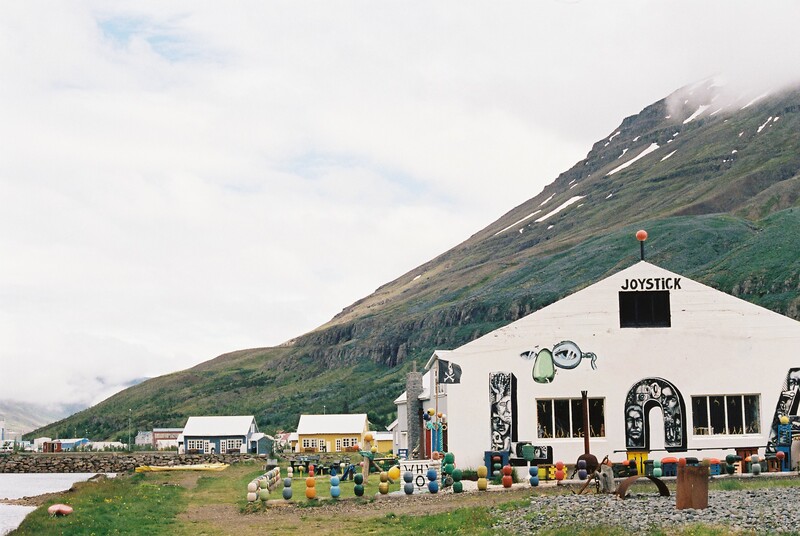 Artistically it’s one of East Iceland’s more active communities. Seyðisfjörður has a telecommunications museum, an arts centre, and one of only two cinemas in East Iceland. The town’s biggest cultural attraction however is the annual LungA festival which typically runs in mid-July. Founded in 2000, the LungA Art Festival is when the city really comes to life. The week long youth-focussed celebration summons musicians, artists, writers, thinkers and other creatives to the town for a series of performances, exhibitions, panels discussions and creative collaboration. 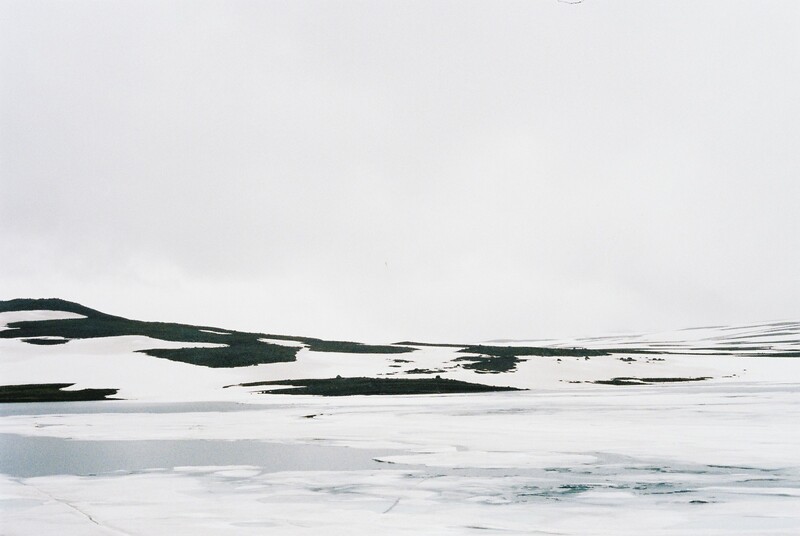 It has officially become one of Iceland’s biggest arts festivals. The festival runs in the middle of the Icelandic summer when the days are incredibly long, sometimes featuring over 20 hours of sunlight. In previous years the festival has attracted some of the country’s biggest names in the local arts community including Ragnar Kjartansson and Páll Óskar as well as ground breaking international talents like Princess Nokia. For more information on the next edition of LungA Festival, be sure to keep an eye on the website: https://lunga.is/. Ströndin Studio – Situated inside a former fish factory, this is a gallery and workshop hub which focuses on inspiring and fostering the creation of experimental photography. Inside there’s a gallery which features images created by local photographers and also hosts analogue photography workshops. HEIMA – Is a house and adjoining art space which regularly hosts international artist residencies. A sprawling triple storey house, applications to live at HEIMA are open to both emerging and established artists working almost any media. You can apply at their website www.h-e-i-m-a.com/. Beyond arts scene Seyðisfjörður’s other major attraction is its almost surreal natural beauty. As soon as you arrive at the top of this isolated, yet vibrant town centre it’s pretty obvious as to why the city has long been a home of inspiration for local and international artists alike. Surrounding the town like an organically constructed sky-high wall are cloud touching mountainous peaks dotted with long waterfalls and brightly colored wildflowers. 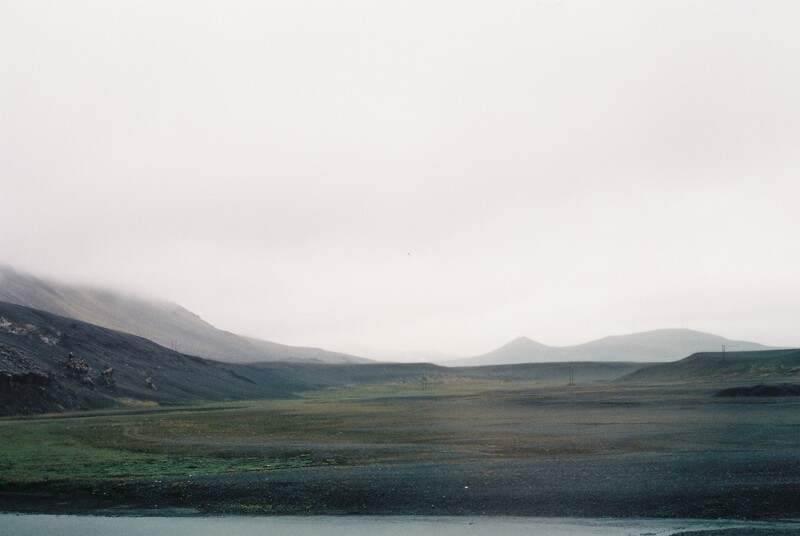 Like something ripped from the pages of a fantasy novel, Iceland is often referred to as the ”Land of Fire and Ice” because of its diverse volcanic, yet glacier rich landscape and Seyðisfjörður is an idyllic example of such eclectic beauty. 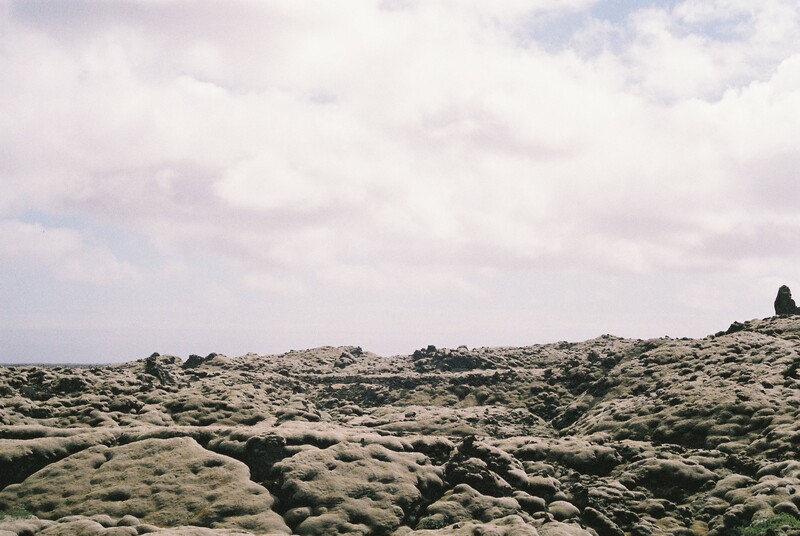 The rocky surrounding mountainscape is open and easily accessible for exploration. Like a well organised water network, the mountains’ waterfalls pour down the walls of the valley before connecting to the the river, which flows on into the fjord. Given the sheer height from which the waterfalls begin you’d be forgiven for thinking that you’re witnessing the sky pouring into the town. Snowshoeing is a popular way to see the surrounding area in the colder months. Visitors can book a snowshoeing tour in town. The tour will take about three hours and has an english speaking guide. By boat is another excellent way to see the city from a whole new perspective. Local Hlynur Oddsson, is an experienced sailor and knows the fjord better than anyone. He runs a number of different kayak tours for both experienced and beginner kayak users. You can find more information on his tours here. The best way to get around Iceland is via car and getting to Seyðisfjörður is no exception. In the snowier and foggier months it’s not the easiest drive up the weaving mountains, but it’s definitely one of the most stunning. 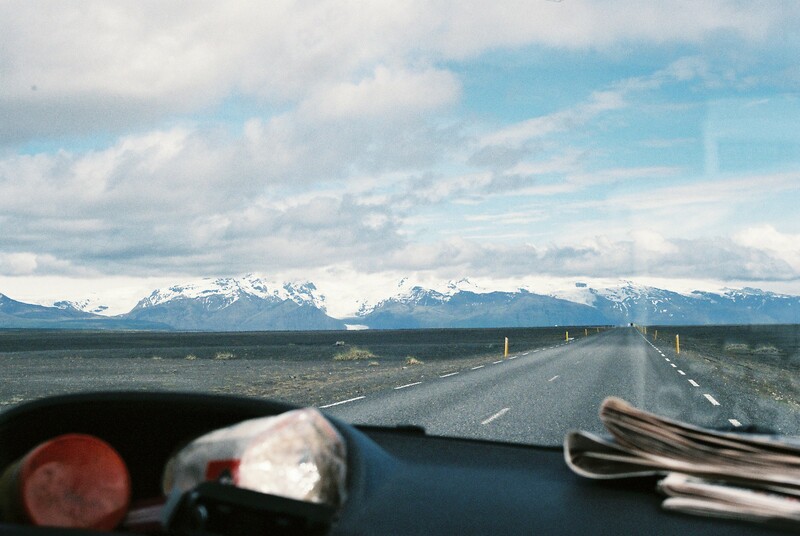 One of iceland’s best car rental companies is Go Car Rental in the capital city of Reykjavik is an affordable option. The company offers both regular cars and campervans. From Reykjavík to Seydisfjordur is about 680 km and two of the most popular and scenic routes to get around are via the Ring Road or Highway 1. The town has a number of guesthouses and hotels as well as a campsite, so if you’re wanting to save money on accommodation booking a campervan is definitely worth considering. You can find all the details on potential accommodation options at www.visitseydisfjordur.com. Travelling via public transport in Iceland can be a little more difficult and requires quite a bit of planning. There is a local bus service that runs between Egilsstaðir and Seyðisfjörður is organised by local bus company FAS. Egilsstaðir is one of Iceland’s bigger cities and has a local airport which regularly runs flights between the area and Reykjavík.